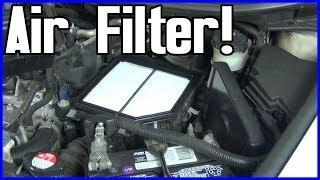 1993 Dodge Caravan Vacuum problem? My 93 Caravan ran great/ well maintained. 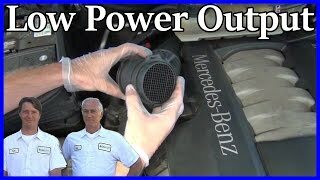 It just start running rough/ idled slow/ hardly any power without pumping the pedal. Worsened quickly(across town) no power/ if you hold the accellerator steady, it lopes/ dophins, and has a thumping backfire thru the intake. 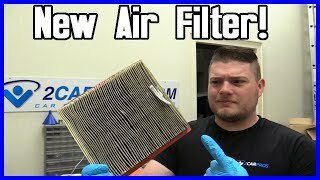 I opened the air cleaner cover and it is sucking air like a jet engine! Loud roar. Never heard this noise before. Puter code says O2/ replace it-not it/ replaced the ECG? Valve assembly, as per my mechanic. Nothing. Gas pressure is good/ hoses are good. BTW. The brake booster became intermittent/ because of the vacuum snafu I'm sure. Now they have my engine top removed, trying to find the problem. Even the injectors. Tho I don't see a pressurized fuel system affecting the vacuum? I need some help here before they decide to replace or rebuild the entire engine! I mentioned the MAF(sp?) Sensor or the engine puter.I guess they didn't hear me. LOL! SPARK PLUGS? :Oops: Believe it? They were so bad it shouldn't have run at all. The bad plugs made all the sensors send signals to the puter that something was wrong.
. It was. All the sensors were right, except none pointed directly at the cause. The puter, doing it's job, started slowly adjusting 'things'. Fuel/ air/. Etc. Til it reached a point where everything just snowballed. Thought I was gonna have to rebuild old faithful! The plugs were replaced and it ran. Ok but not good. Already had replaced the ECG valve/ sensor. Changed the MAP. Bingo. Runs good as ever. Compression was super, @ about 125 on all cylinders? Fuel pressure was great/ the injectors were fine. 252K+, and is like brand new. BTW. The old plugs? Bosch. They had 4 tips on them.